The outside of Bobb Hall. Students alerted the University to the possibility of mold in Bobb, and the building is being tested, an administrator said. Preliminary testing for mold in Bobb and McCulloch Halls came back positive for the same type of mold recently found in Ayers College of Commerce and Industry, a University official said Monday. Students alerted the University to the possibility of mold in Bobb, and the building is continuing to be tested, said Paul Riel, assistant vice president for residential and dining services. In an email sent to Bobb and McCulloch residents Wednesday, Riel said Facilities Management staff are also evaluating the building’s ventilation system and monitoring its air quality and humidity levels. “(Other big buildings) are being checked now with sort of the same process to make sure we’re not missing anything from a fresh air standpoint and an exhaust standpoint,” Riel said. The University is continuing to test CCI and Foster-Walker Complex — which had previous reports of mold — as well as Sargent Hall, Riel added. 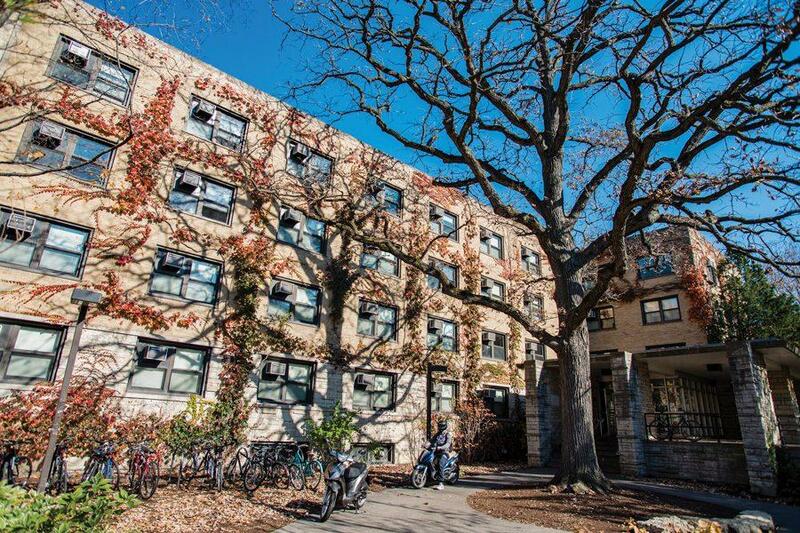 Anabel Mendoza, a Medill freshman who lives in Bobb, said she is considering moving out of the building due to health concerns from the presence of mold in her room and the rest of the building. She said she began feeling the symptoms of a cold during Wildcat Welcome and the cold has persisted ever since. After going to an immediate care center to determine the cause of her illness, Mendoza said she suspected it was caused by the air quality in the building, something the doctor had also mentioned. Mendoza said she had previously heard other students in Bobb talking about mold in their rooms, and she checked her room after returning from the immediate care facility. She said she found mold above her windowsill and in the bathroom. Communication freshman Rachel Cantor said she also found mold in her room in Bobb and that the maintenance team was “super proactive” in taking care of it. Cantor said she did not think of the mold on her ceiling as a serious issue until her friends encouraged her to report it. She said her room has been free of mold since it was cleaned last week. Riel said he did not have a precise number of students who reported mold in Bobb, but both Mendoza and Cantor said they have heard numerous Bobb residents talking about mold in their rooms. Last week, Riel told The Daily that students should continue to submit requests related to mold through SchoolDude. He added recently that the University is focusing on inspecting larger buildings with window air conditioner units because those are the ones in which they are seeing issues.